Note: If you have an Atlantic.Net Cloud Windows Server 2012 that was provisioned before Mid-February 2015, you can use this to configure it. 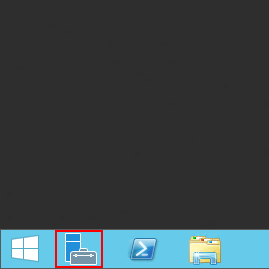 If you provisioned your server after that, don’t worry about this since we have brought you our Windows Server Desktop Experience and it is already turned off. Once Server Manager is open, click on Local server shown below highlighted yellow. 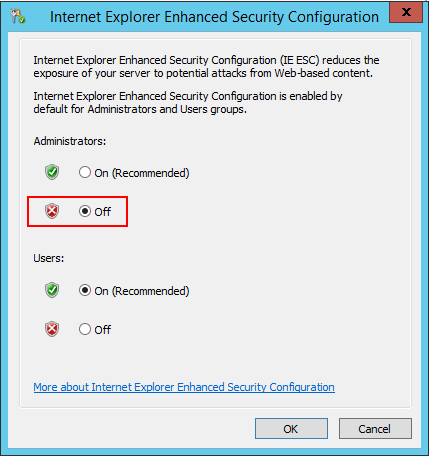 Where it says “IE Enhanced Security Configuration” Click the “On”. If it says off, you may have already had this done for you. Click OK. That is all you need to do. If you already have IE open then you will need to close it and reopen it for these settings to take effect. Happy Browsing.